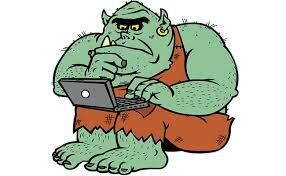 Online trolls who have wreaked havoc on traditional news sources also are bedeviling scientific and medical publications. Although experts have benefited from much greater access to information about studies and key developments in their field, they’re also struggling to ensure the articles they get on the Internet are accurate, fair, and responsible. This battle over the credibility of information is critical not just to academics in ivy towers. It could affect science, medicine, and the public’s health care. Some recent reports illustrate why. Let’s start with some Polish researchers’ light-hearted way to lance, in deadly serious fashion, a nasty boil in medical-scientific publication—the viral spread of “predatory” journals. These online outlets have proliferated partly in response to an imperative in academia (including in medical-scientific research) to “publish or perish.” Rising PhDs and even many MDs are under incredible pressure to build their credentials and institutional standing by showing they can get their studies disseminated in professional journals. But gone are the days when these publications were scarce, based often in elite institutions, and engaged in glacial peer reviews, which often were back-scratching exercises among cadres of medical or scientific good ol’ guys, all familiar with each other dating, perhaps, from their days in prep schools. Instead, researchers now are inundated, they report, with spam emails from purported online journals with a totally different business model: For a fee, they will get your research “reviewed,” and then up it goes online for the world to see. Think of this as the scientists’ version of the hoary “who’s who” directories that once sought a few hundred bucks from “carefully chosen” targets whose bios were published in thick directories that promptly gathered dust on payees’ shelves. The open, fee-for-publishing approach also can work, as the respected Public Library of Science (PLoS) example shows. PLoS has demonstrated that it can get important findings checked and published much more nimbly than its stodgy peers, and arguably with equal accuracy, credibility, and impact. But, as the New York Times and the New Yorker have reported, the once plodding world of science journals also has exploded online with all manner of scammers and hype specialists, including those exposed by those clever Poles. With careful oversight and legitimate controls, they created a fictional researcher whose name might have tipped off the con artists: Anna Olga Szust’s humdrum CV then went out to hundreds of journals, inquiring about opportunities. Researchers sent her phony resume to outlets that academics have vetted and deemed legitimate because they maintain ethical, professional, and scientific-medical standards. Many of the recipients also appear on institutional spam lists. Fictional AO Szust (ozust in Polish means “a fraud”) got back many responses. The legit operators, politely, declined her pitch. Dozens of shoddy outlets offered her everything from roles as their top editor, to others who wanted her to lead seminars in her field —all this, of course, if she would pay them anywhere from a few hundred to several thousand dollars. The researchers informed all their targets of their experiment, asking for comments and explanations. They got many fewer back before publishing their results in the noted journal Nature. This study would be amusing if it did not spotlight serious concerns, including that one of the few keepers of a credible list of dubious online journals is stopping his work, saying he feels his institution regards poorly his important gatekeeping. The New Yorker says that already harried researchers find they lose important time, fending off importuning scam artists. Some use advanced software to generate nonsense text that they send to con outfits, hoping they will get the message and disappear. They haven’t, even when researchers sent them a profanely titled work (Get me off your —- mailing list!). One outfit published it. Meantime, Stat, the online health information site, has added another woe to the growing online scientific publishing morass: The persistence of researchers “cartel-ing” to boost the prominence and seeming importance of select papers, especially those published online. To those unfamiliar with academic life, one of the important ways that researchers keep score on each other and themselves is through citation analysis, a process abetted, big time now, by online publication. Conventional wisdom holds that the importance of published research can be measured by the number of times it is mentioned or cited by others, and this can be discovered ever more easily through database scans. Thomson Reuters, a noted scientific, legal and business publisher, once kept and published some researcher scores. It also helped keep them a bit on the up and up, for example, by scrutinizing data and occasionally sanctioning individuals, institutions, and publishers that exaggerated scores. As Stat points out, Thomson Reuters is halting its work in this area, and scientific experts fear that groups will gang up to cite each other’s studies, a mutually beneficial collusion. Slovenian computing experts say they are testing “bibliometric” tools to see if they can detect bona fide versus cartel-packing research citations but this task is complicated. This issue, along with pay-for-play, spam publication, is more than academic. Scientists and doctors alike look at a ton of published studies to figure the best, current thinking on how to treat diseases. Published studies deeply affect their professional work, including whose views prevail and get prominence, and who gets funding. The world, meanwhile, is suffering still the ill effects and aftermath of horrific hoax research published by an anti-vaccination fraudster. I’ve written how Big Tobacco, Big Sugar, Big Soda, the NFL, and the NHL all have sought to sway critical aspects of public health and safety by funding and steering “astroturf” studies or by attacking evidence-based medical or scientific studies. Researchers aren’t helping us, their most important audiences, when they shroud their findings in mumbo jumbo or spend precious time and resources on resume-polishing studies that deal with the tiniest incrementals. Harried journalists also need to look past cheap, easy, click-bait in their health reporting, and to help their readers by digging in an exercising the even greater expertise that many exemplary reporters already are showing now. With the many studies that now inundate them in complexity, and with Internet-driven demands for output and timeliness, reporters have a really tough role these days. That certainly was was evidenced anew, say, with the source-steered releases of studies on a new heart drug and difficult scrutiny of cell replication and cancer. It isn’t easy and it can take a little time. But one critical way we all need to respond to attacks that undercut the credibility of mass media and medical-scientific publishing—“fake news” and phony research—is by being skeptical, informed consumers of information in the cyber age. Our health and our democracy are at stake.